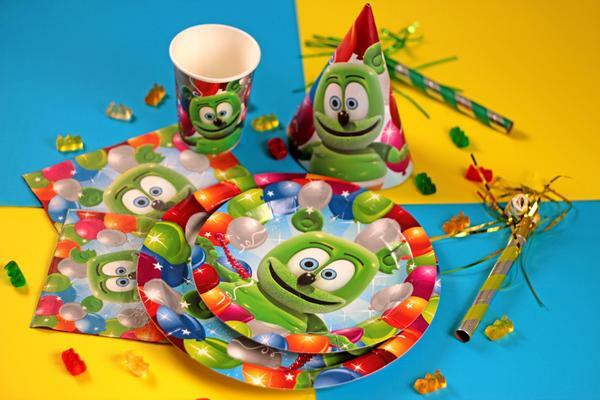 A complete set for 8! 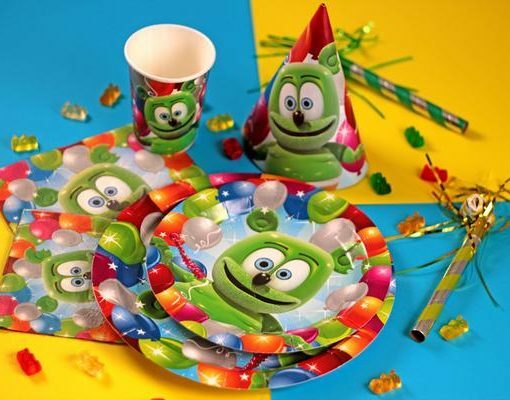 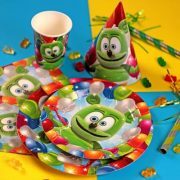 Festive and colorful Gummibär themed plates, napkins, hats, cups, and balloons are available for all of your party needs! 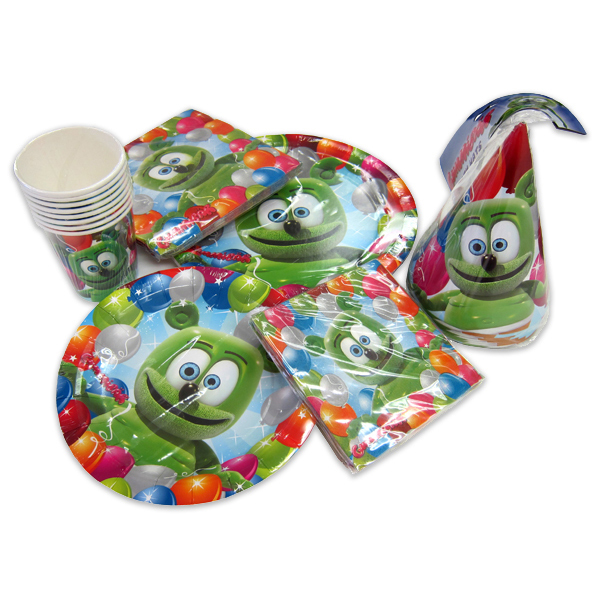 Items are also available for sale individually.